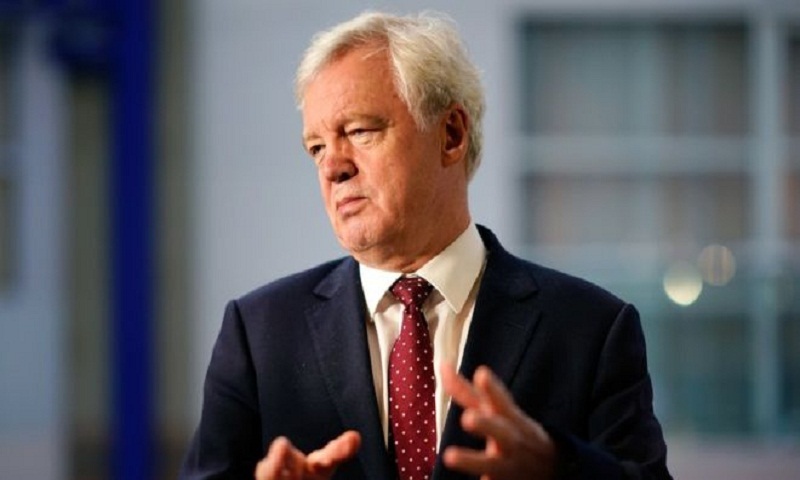 Cabinet ministers should “exert their collective authority” and rebel against Theresa May’s proposed Brexit deal, ex-Brexit Secretary David Davis has said. Brexiteers suspect this could turn into a permanent situation, restricting the freedom to strike trade deals. Writing in the Sunday Times, Mr Davis said the plan was unacceptable. The article comes ahead of a crucial summit with EU leaders in Brussels on Wednesday which will determine whether or not a deal can be struck. He was soon followed out of government by the then-Foreign Secretary Boris Johnson, who claimed the PM was leading the UK into a “semi-Brexit” with the “status of a colony”. The pair have been vocal opponents of Mrs May’s direction since returning to the backbenches. Mr Davis said the government’s negotiating strategy had “fundamental flaws”, arising from the “unwise decision in December to accept the EU’s language on dealing with the Northern Ireland border”. DUP leader Arlene Foster, meanwhile, warned the prime minister on Saturday not to accept a “dodgy” deal with the EU. Mrs Foster said Mrs May should not back a plan that would “effectively cut Northern Ireland adrift”. According to a leaked email reported in the Observer, Mrs Foster is preparing for a no-deal Brexit. More than three-quarters of NHS trusts, however, have made no preparations for the UK’s departure from the EU whatsoever, according to Freedom of Information obtained by the People’s Vote campaign. The group also commissioned a YouGov poll of the UK’s doctors and nurses, who – according to the poll – now back another referendum by a margin of three to one.